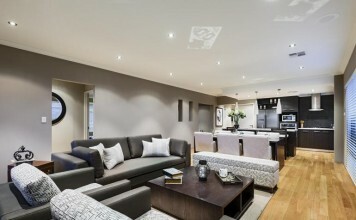 Interior design is an art form and sometimes the artists achieve a room that is innovative and unique or simply stylish. These highly chic rooms contain elements that elevate their design to a level of style that makes us appreciate the art that goes into them. 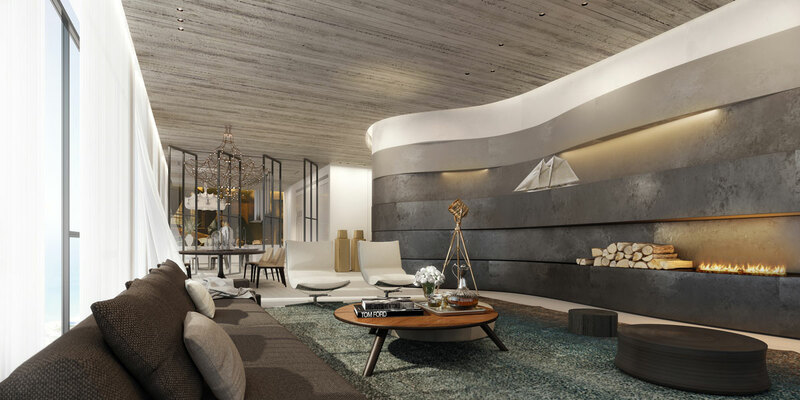 Just like a painting or significant work of sculpture, a room design speaks to us. 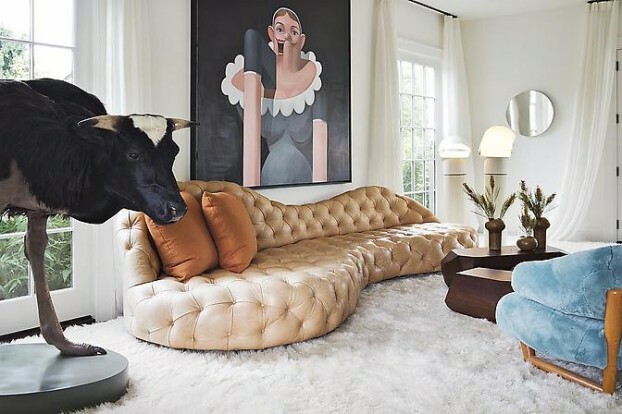 Let’s take a look at some rooms that illustrate interior design as an art form. 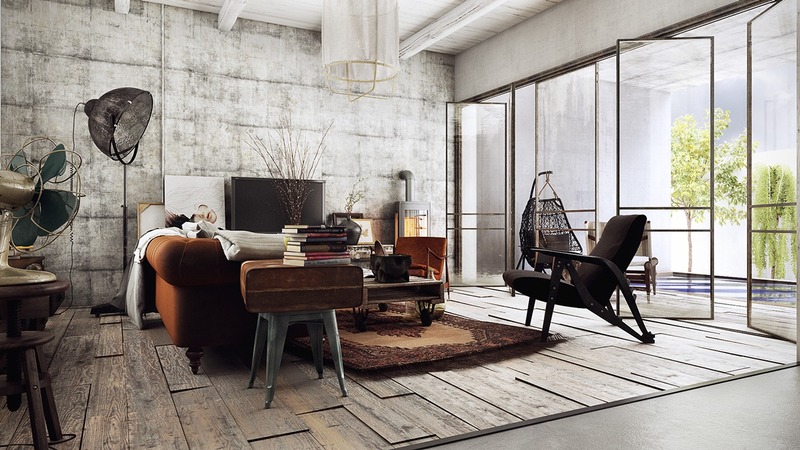 Texture and vintage industrial items turn this home into a canvas of urban living. Wood flooring and ceiling encase this room in rough-hewn splendor, while a cozy sofa plays against industrial-style furnishings and accessories. 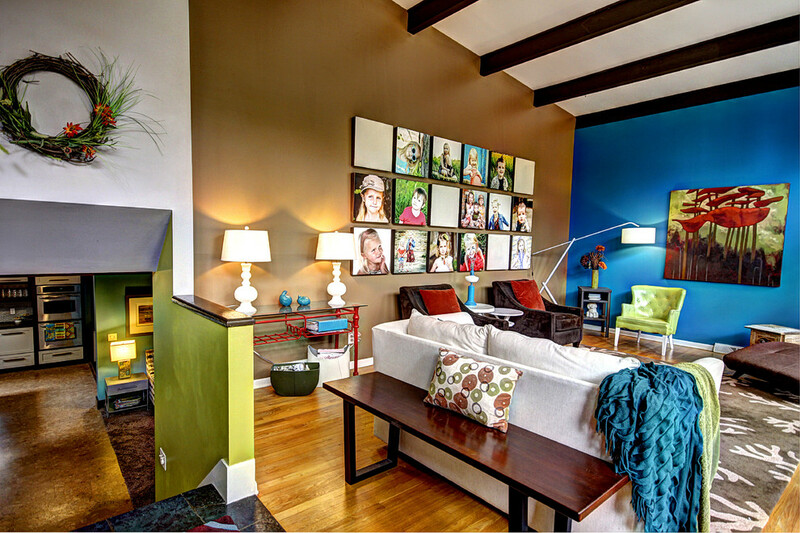 Color, shape and a few unexpected elements bring out the personality of this room. 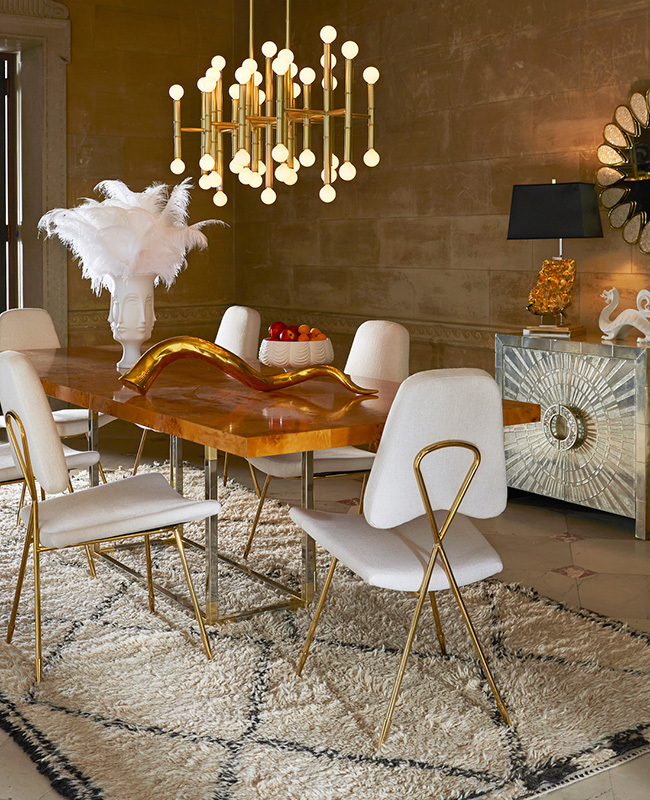 Classic chairs form the outer layers of this room, while abstract art and a cascading light fixture offer unexpected touches of shapely interest. 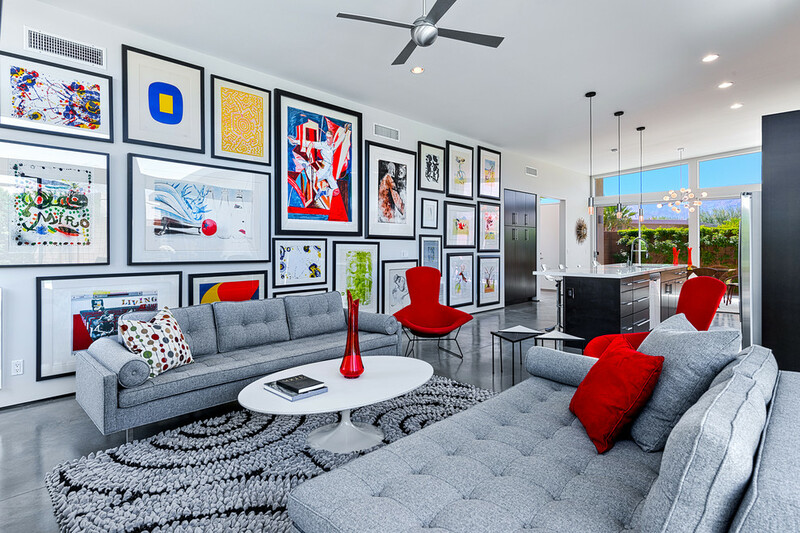 The pop of red is mirrored throughout the room in the art, chair and shelving. Interesting architectural elements, like this shelving unit/fireplace surround/room divider give this room much versatility. Pops of rich color stand out against a canvas of gray walls. 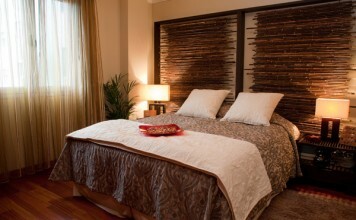 Wood tones add a natural element. The unique coffee table takes center stage and throw pillows add softness to the straight lines of the furniture. 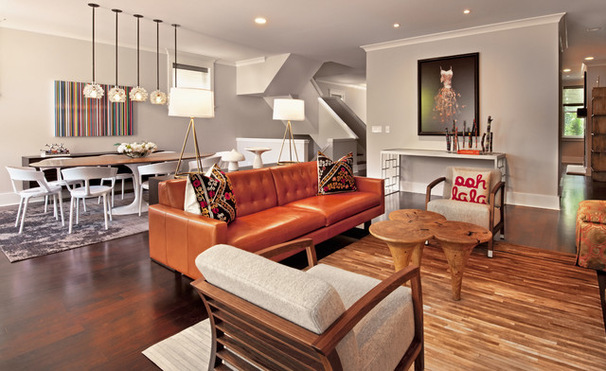 Unique modern furnishings infuse comfort and a touch of bohemian charm to this space. The plaid sofa fabric is a play to classic design. This refreshing and modern bathroom takes nature to a new level. 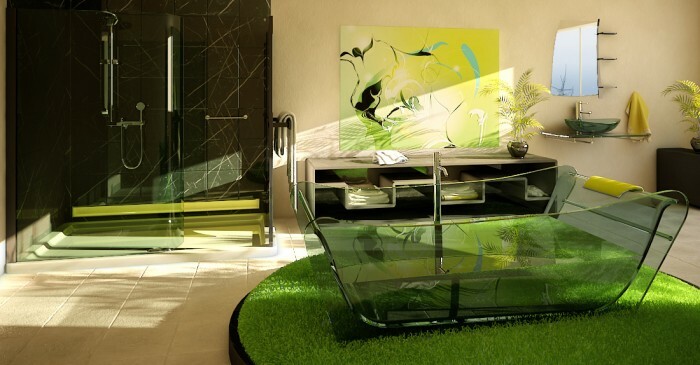 Plush “grass” carpet and a glass tub are central to this room’s appeal. Experimenting with different materials is the mark of an artist. 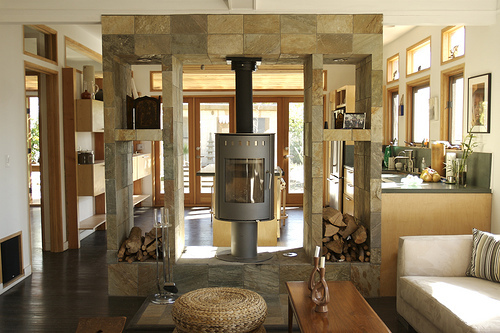 Creating a bit of natural magic in a home is always in style. 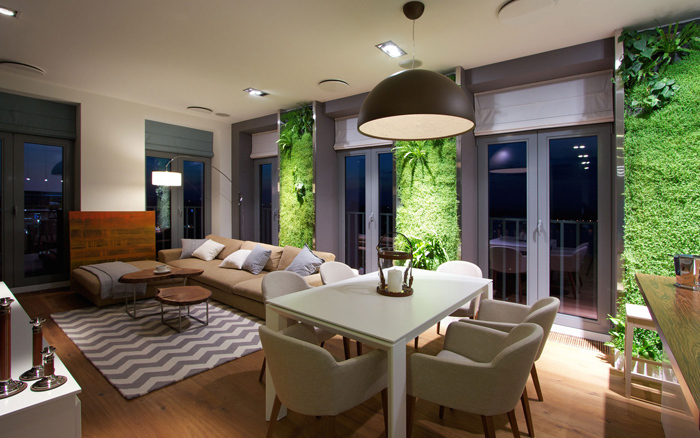 Plant walls offer just the right amount of nature to enhance this modern space. 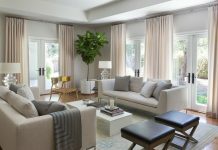 The perfect balance of color gives a space immediate visual appeal, whether it is adorned in a vibrant mix or in neutrals. 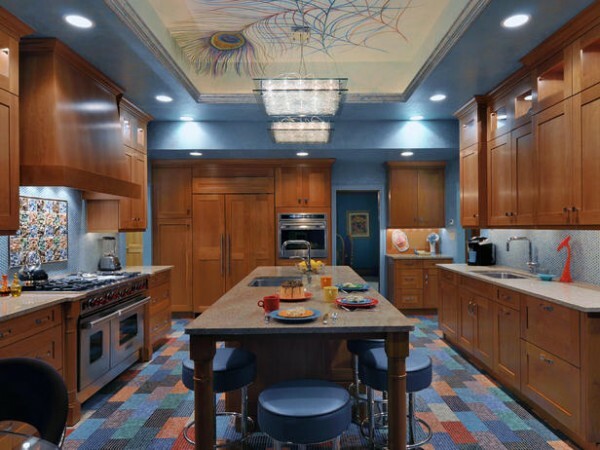 Color infuses life into a space and gives a room energy. 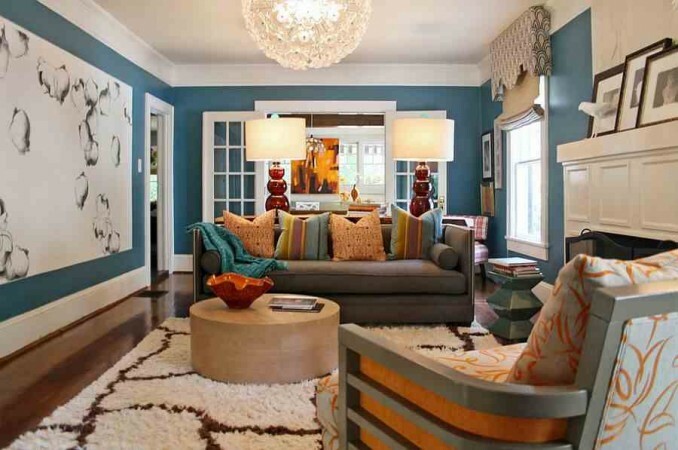 Pattern and details such as a blue ceiling give this room a cohesive and pleasing look. This blue kitchen radiates charm and sophisticated artistry. The ceiling detail adds a note of art, while the chandelier enhances the space. 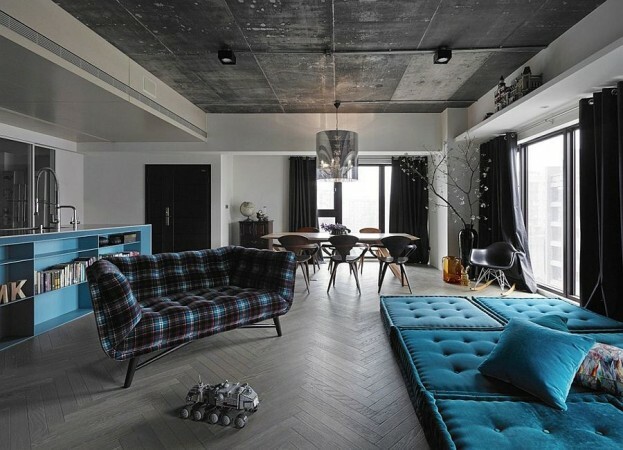 The flooring picks up the colors of the peacock feather on the ceiling as well, bringing the color scheme into harmony. Quirky and out-of-the-ordinary objects project a certain humor into this room. 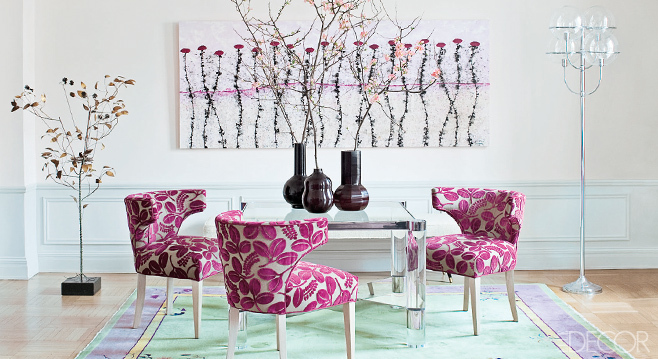 The magic of color combinations comes alive in this room of raspberry and soft green. 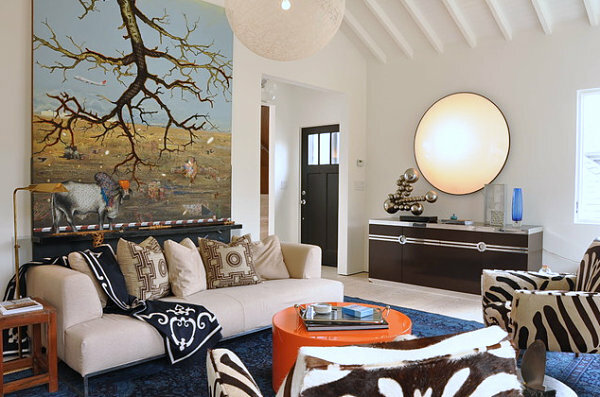 The mixture of color and pattern give this room an enchanting charm. Repeating shapes and themes in a room create a visual balance and give this dining space its appeal. Notice how the branches in the vases, the tree sculpture and even the lamp mimic the painting. The tree theme is carried through on the fabric of the chairs. 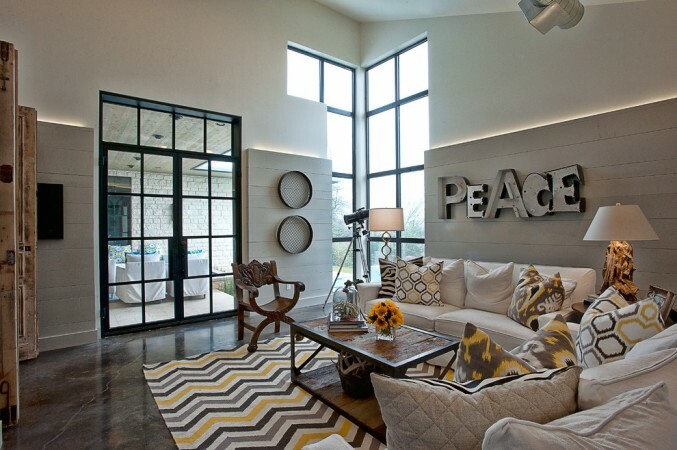 Unique shapes give this room modern pizazz. 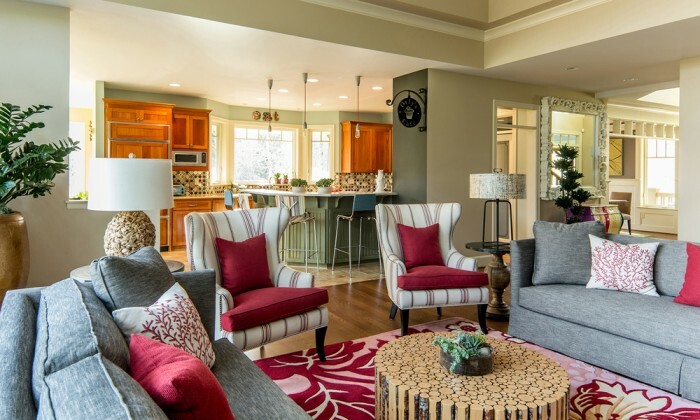 A beautiful blending of color and shape brings overall appeal to this room. Vivid colors make this room a stylish stand-out. There is a great balance of pattern and color demonstrated with the throw pillows in this room. 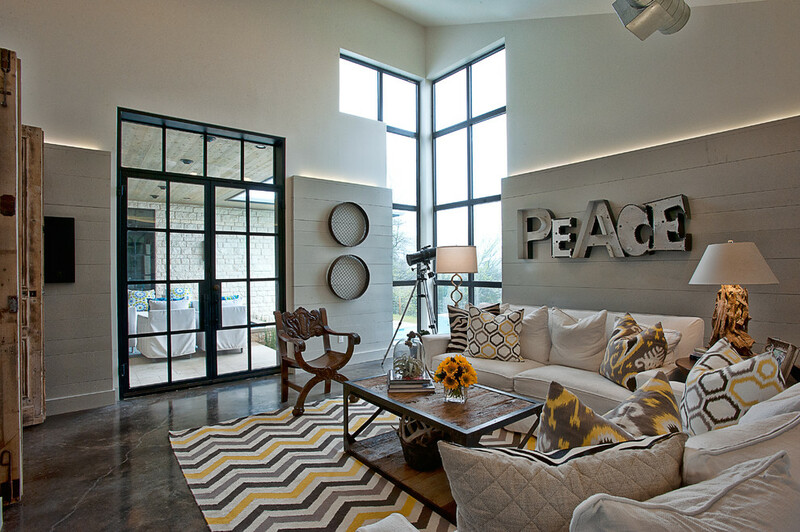 The simple chic of this room is a great backdrop for the accent pillows. The area rug defines the space, coordinating nicely. Color creates movement and energy in this room. Framed art is the centerpiece to this interior. Simple furnishings augment this space, with accessories that provide color throughout the design. 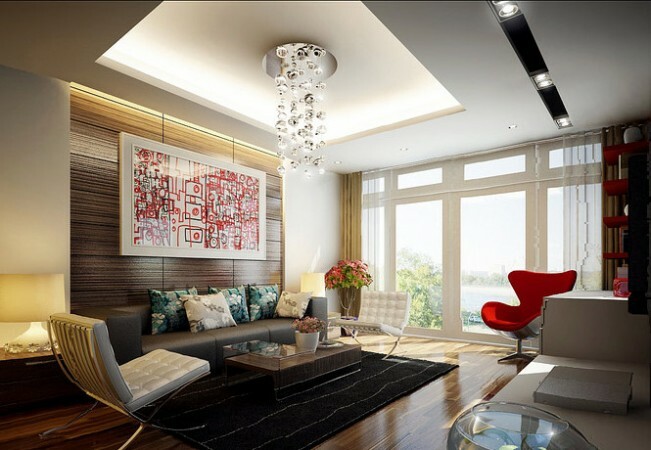 Interior design is an art form that transforms ordinary rooms into extraordinary. 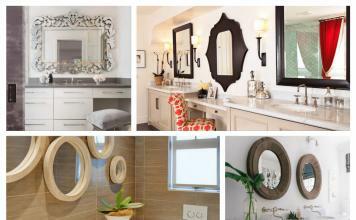 Some rooms just have the perfect balance of elements and offer a wide appeal. 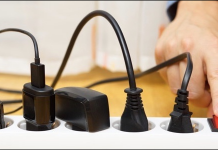 When decorating your own home, think of it as a blank canvas and create something unique.